Reynolds Performing Arts Students at Move It 2012! 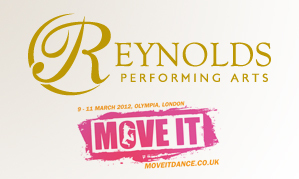 Home / Reynolds Training Academy Blog / Reynolds Performing Arts Students at Move It 2012! We are performing at Move It 2012, this coming weekend. View our online profile here. Come and see us perform at the Showcase Theatre on Friday 9th & Saturday 10th March at 2.40pm, and on the Main Stage on Saturday 10th March 10.30am. Don’t forget to visit our stand, we’ve got a great chance to win a full 3 year scholarship starting September 2012, as well as some Reynolds Training Academy wrist bands to give away. Find us on stand 452.